Feel like your holiday shopping budget has already melted away? Have some winter expenses that are keeping you up at night? 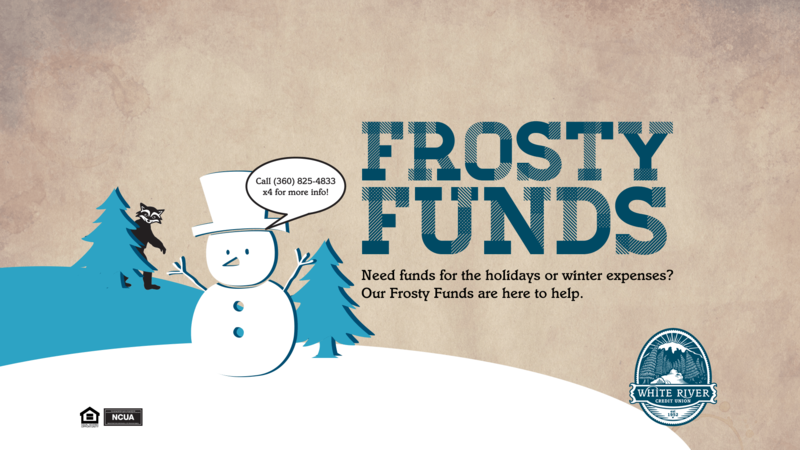 Our Frosty Funds can help and here for a limited time only. Come on by or give us a call at 360.825.4833 to find out more information.